wall insulation depends mainly on the type of wall. In order to understand how insulation is done, first know the types of walls commonly seen in UK homes. Most modern houses have cavity walls where the wall consists of an outer brick layer and an inner brick or concrete layer, separated by a cavity. This cavity is meant to provide thermal insulation against heat loss. Older houses generally have solid, brick walls with no cavity. Some modern houses may also have steel or timber frame walls with no cavity. Such walls are insulated roughly the same way as solid walls. In cavity walls, the cavity between the two layers can be filled with insulation to provide an added layer of protection against heat loss. For best results, the cavity needs to be at least 50mm in width and existing brickwork should be in good condition to prevent damage to the insulation from heat and rain. Installation is done by drilling very small holes on the outer walls and pushing the insulation in using special equipment. The holes are then patched up to restore the appearance of the wall. 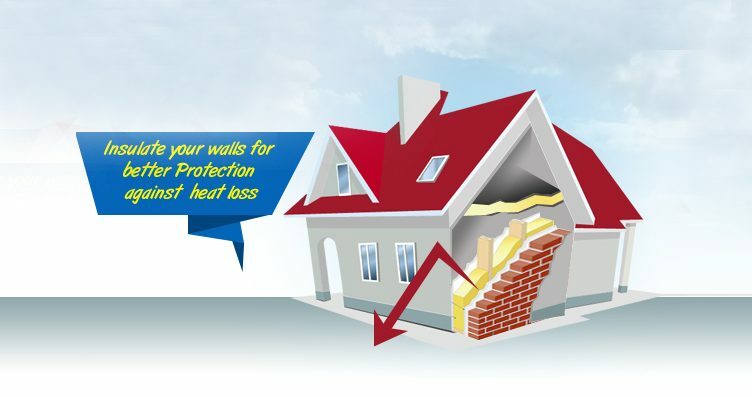 Solid walls lose twice as much heat as cavity walls and generally cost more to insulate. Insulation in solid walls can be internal or external. Internal wall insulation is done by attaching an insulation board or a false wall filled with insulation material to the inner wall. External insulation is done by fixing insulation material to the outer walls and covering it with plaster. This can then be painted, tiled or paneled to suit your taste. External insulation is costly but is more durable and also provides weather proofing and sound resistance. Such walls are generally insulated using wood-fibre or hemp-fibre insulation boards or hemp-lime composites. These materials provide rigid insulation while allowing the timber some room for movement. To get the most value for your money, be sure to work with dealers who are recognized by the Cavity Insulation Guarantee Agency. If you prefer to insulate your walls yourselves, purchase materials that comply with building regulations like those having the Energy Saving Trust Recommended logo. A few energy firms like British Gas, EDF Energy, e.on also offer free insulation for houses meeting specific criteria. To get quotes from dealers of high quality, reliable and cheap home insulation, contact Home Saving Guide today.